Time and time again, I am drawn to eye-catching prints! Wrap that print into a romper, and it’s a statement piece that I can’t resist. 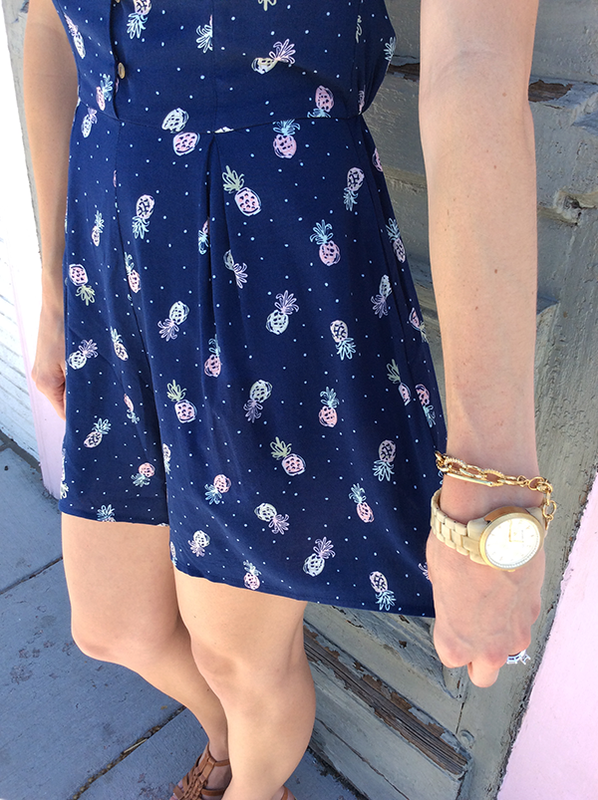 As I hold onto the final warm rays of summer (I can already feel it starting to cool down in the morning), this pineapple romper will remain in my rotation until the change in season demands that I dress warmer. As fall moves in, I just know that when I see this adorable romper in my closet throughout the cold months, it will serve as a cheerful reminder of the sweetness of summertime!